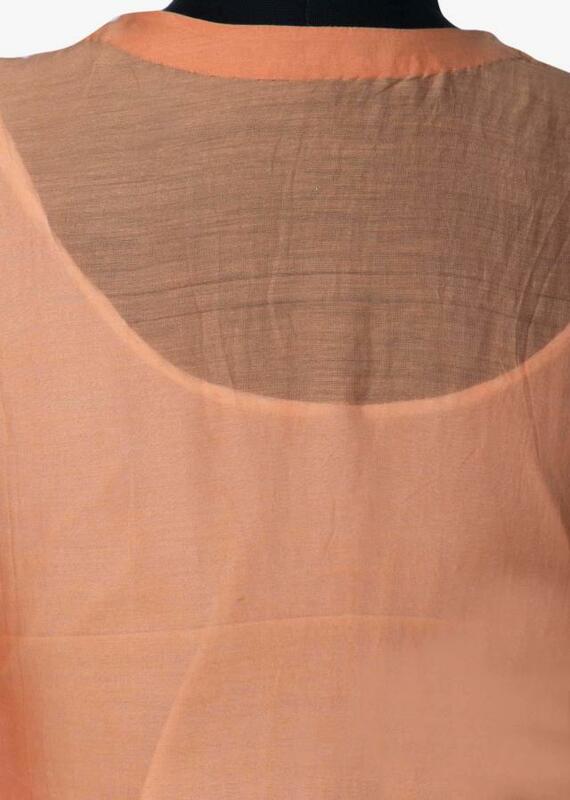 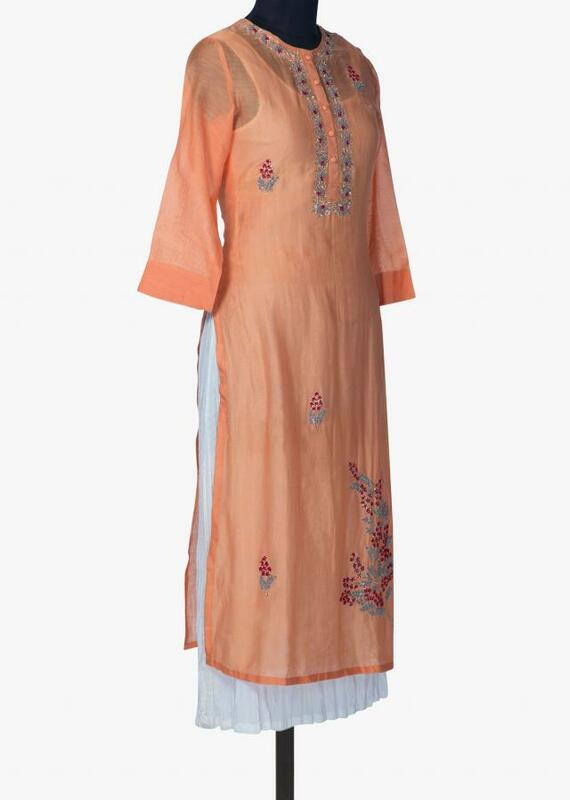 Dark peach kurti features in cotton. 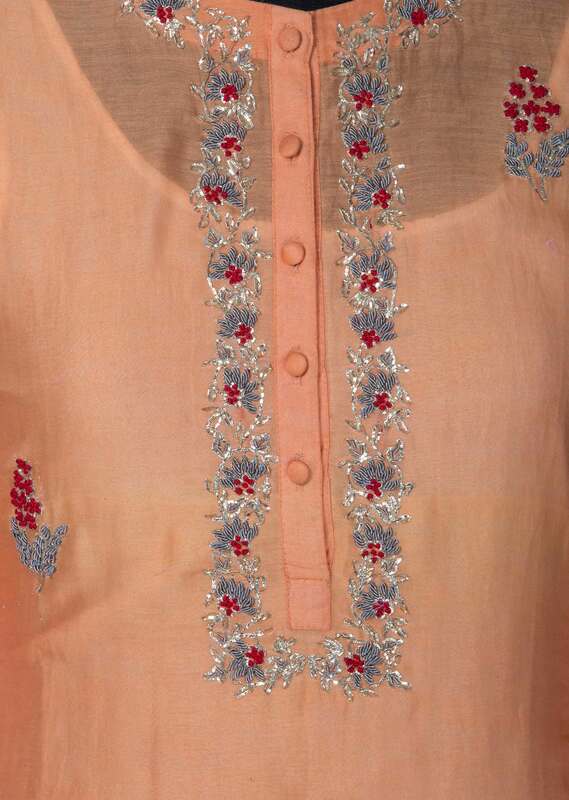 Placket and hem line are embellished in french knot and zardosi embroidery. 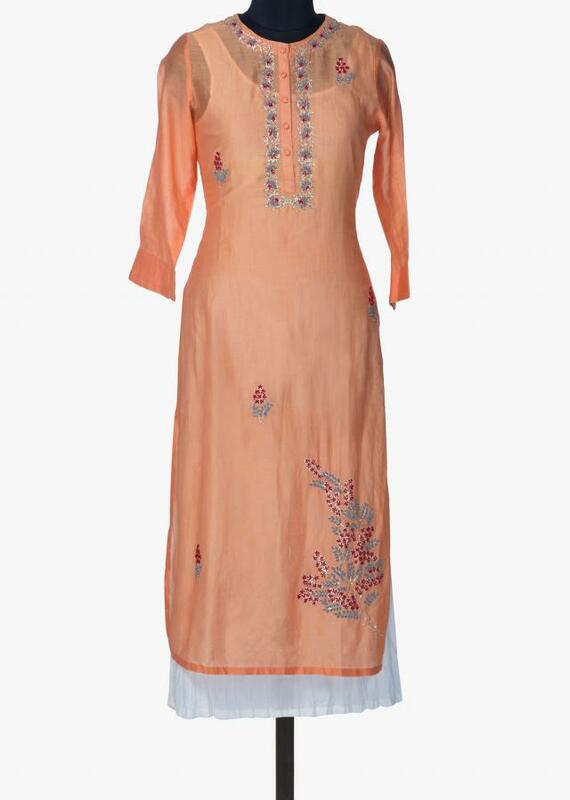 It comes with long white inner in cotton.